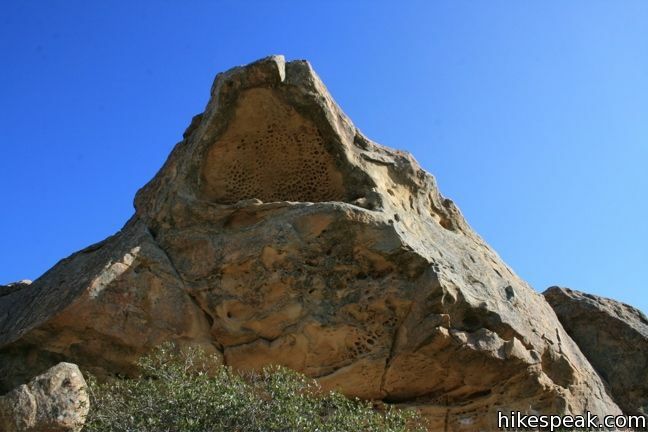 Lizard’s Mouth is a mountain top rock formation overlooking Santa Barbara. 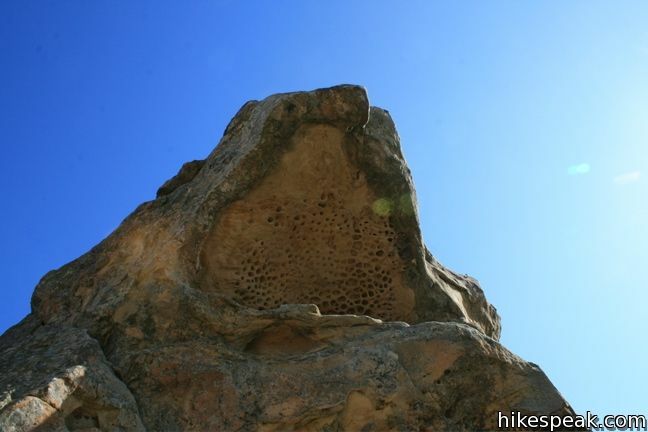 Wind-carved pockets on the underside of this sandstone outcropping give the rock a resemblance to a frog or lizard’s mouth. 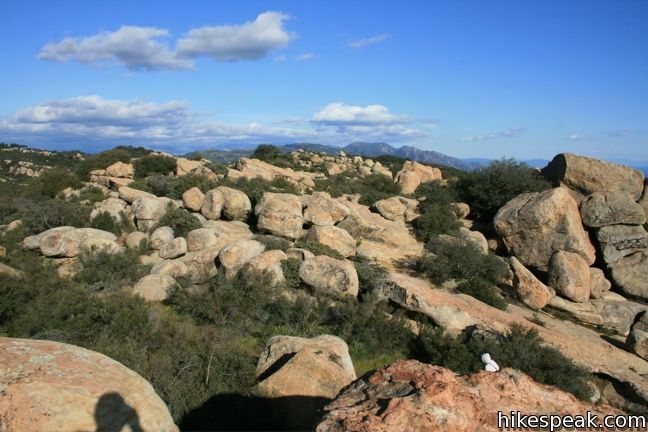 The short hike to Lizard’s Mouth offers sensational views and is a quick excursion for anyone traveling the 154 between Santa Barbara and Lake Cachuma or Los Olivos. 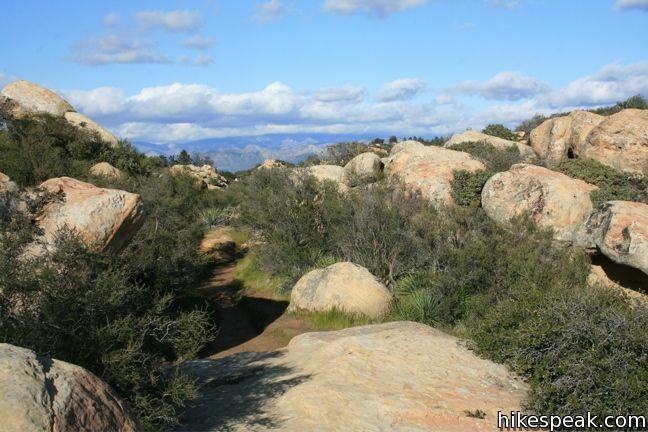 A path from West Camino Cielo meanders through boulders and brush, heading slightly uphill to a clear spot overlooking Santa Barbara. Although there are a few overlapping paths, they all lead to the same place. 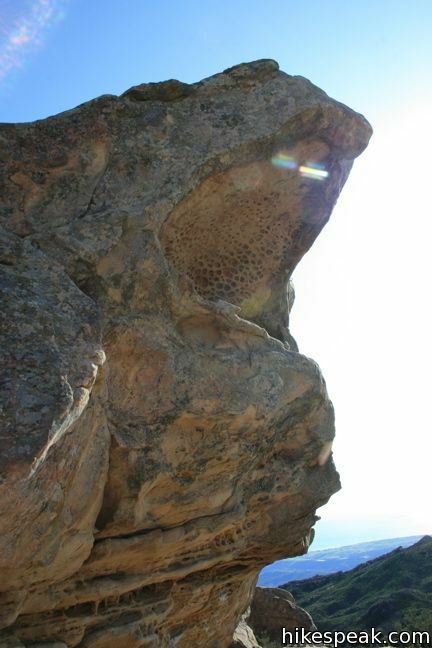 Turn right and ascend the slope of sandstone that forms the lizard’s back. 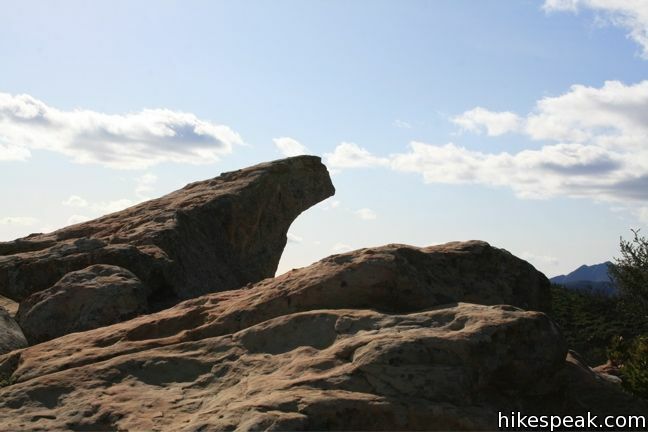 When the side of Lizard’s Mouth becomes visible, either climb over the rocks to get to it, or continue along the path as it swings around to the destination. 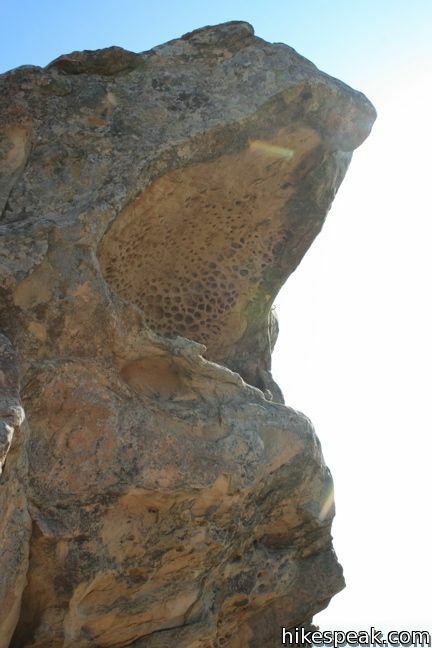 An opening beneath the overhang makes for a good turnaround point. 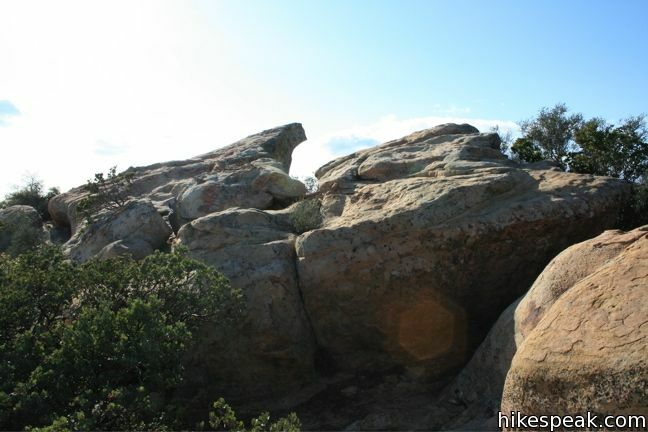 Climb up on the “lizard” and take in the panoramic views. 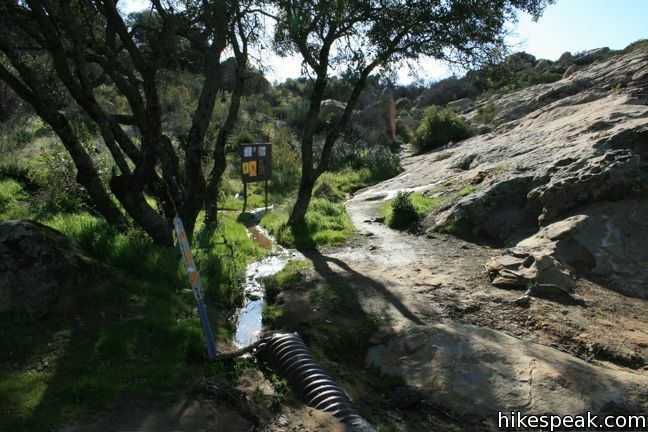 The route back to the trailhead is the same and a bit easier to follow in reverse. 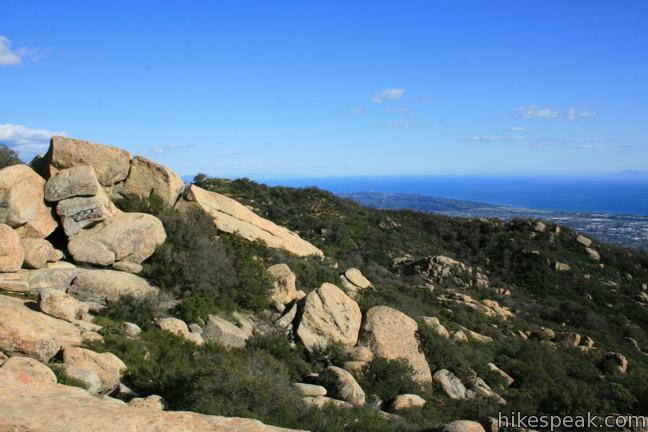 Lizard’s mouth offers a half-mile stroll with optional rock scrambling and obligatory views of Santa Barbara and the Pacific Ocean. 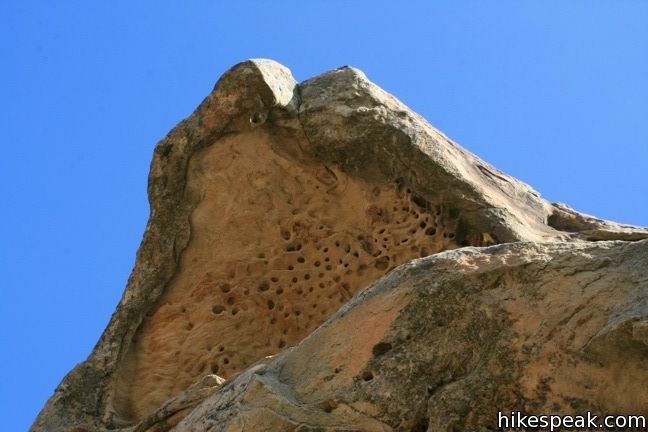 The trail runs adjacent to the Winchester Canyon Gun Club so be prepared to hear gunfire as you hike, especially on weekends. No fee or permit is required, so get out and enjoy. 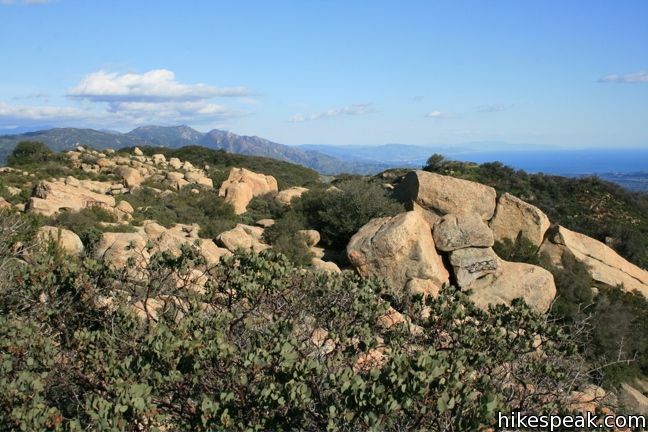 To get to the trailhead: From Highway 101 west of downtown Santa Barbara, exit on Highway 154 and head north into the Santa Ynez Mountains. 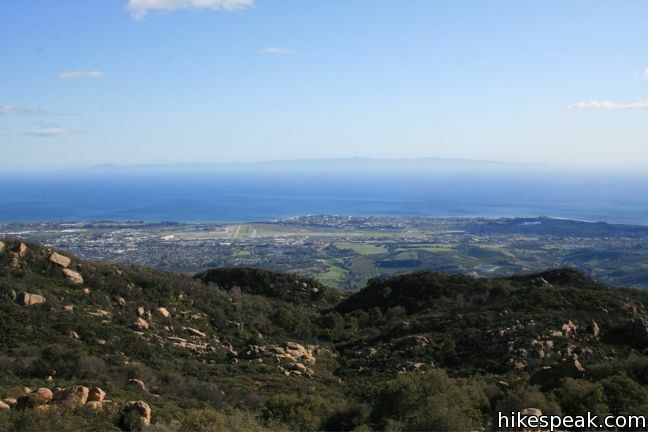 After 7 miles, turn left onto West Camino Cielo (if you reach the East Camino Cielo or the top of the mountain pass, you have gone to far). Off Highway 154, West Camino Cielo makes an immediate right before winding up to the top of the ridge. 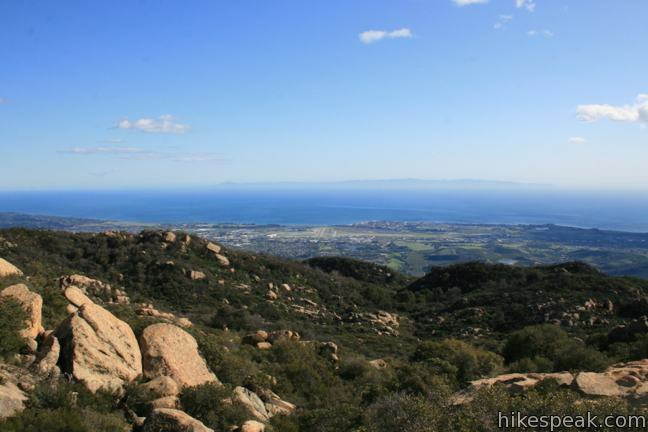 Take this road for 3.5 miles and enjoy the views over Santa Barbara. The trailhead is on the left side of the road a few hundred feet before the Winchester Canyon Gun Club. 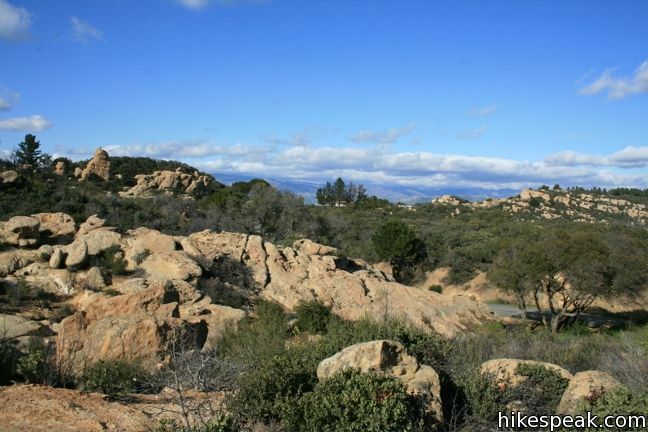 When you reach the gun club or the point where the road becomes unpaved, turn around and backtrack to the roadside parking near the trailhead. A wooden board next to a tree (and a brown pipe on the ground) mark the start of the trail to Lizard’s Mouth. These photos were taken in March of 2010. Click to enlarge. 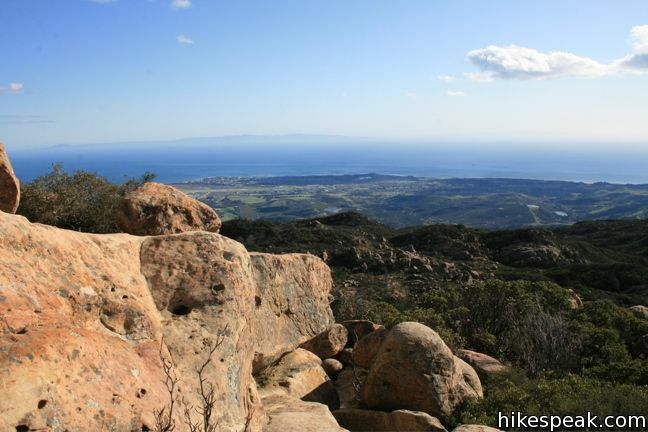 This 1.5-mile hike descends Temescal Ridge to a head-shaped formation with great views over Santa Monica Bay. Are dogs allowed on this trail? Thanks! Jamie Burns we need to check this out this summer! 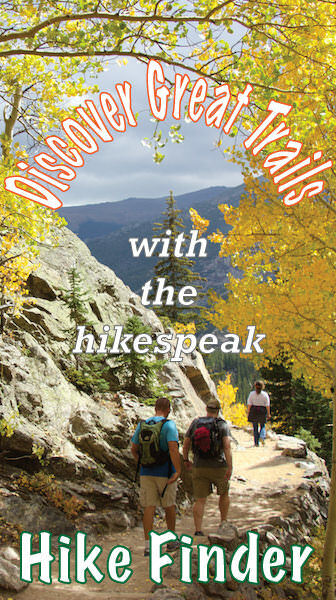 Is this hike kid friendly? would it be safe for a 4 and 6 year old at this elevation? The walk looks like it would work, but I want to make sure there is enough room for kids to explore without….